Though the archetypal Western rancher is a John Wayne-type male, these days "as mechanization and technology transform the ranching industry, making the job of cowboy less about physical strength — though female ranchers have that in spades — and more about business, animal husbandry and the environment, women have reclaimed their connection to the land," Amy Chozick reports for The New York Times. Increasingly, men who would have inherited family farms and ranches have been lured away by more profitable and less physical work, leaving women to either run the family business or sell. About 11 percent of the nation's nearly 730,000 cattle ranches are run by women, according to the National Cattlemen's Beef Association (which may need to change its name before too long). That number could continue increasing, since the age of the average beef cattle rancher is 58 years, 91 percent of cattle farms are family-owned, and more than half of those ranches are expected to change hands in the next 20 years, Chozick reports. 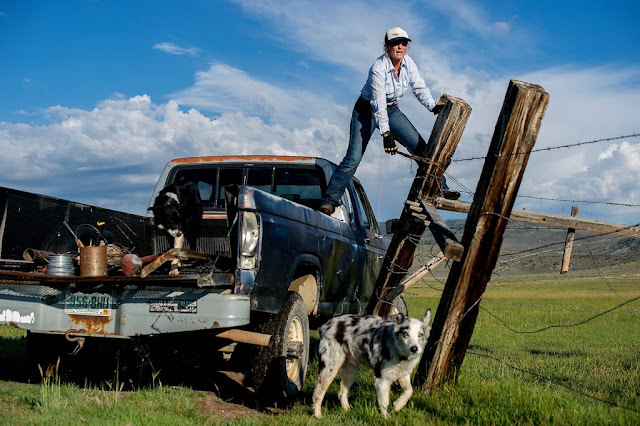 Because these ranching women often don't feel like they fit the mold of what a rancher should look like, some say they feel more empowered to do things differently. "Women are leading the trend of sustainable ranching and raising grass-fed breeds of cattle in humane, ecological ways," Chozick reports.